let me preface this post with a disclaimer -- I know that artificial ingredients are bad for my body and the environment. I know that if I can't pronounce an ingredient, I probably shouldn't eat it. I know that whole, natural foods are the way to go. I firmly believe this. I love, love, LOVE instant pudding. the sugar-free, fat-free, shake-up-with-cold-skim-milk kind. and it's even better with a solid amount of Cool Whip Free on top. 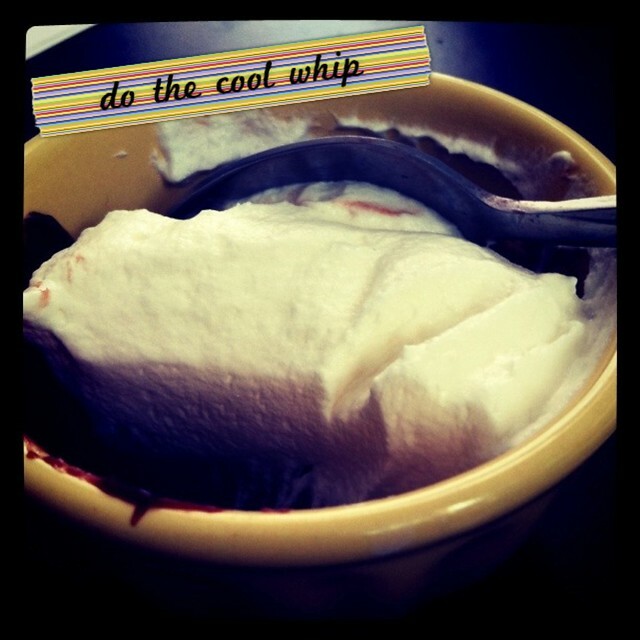 I actually think the best ratio is equal parts pudding to Cool Whip. do you have any 'naughty' foods that you secretly enjoy? rice krispie treats? coco puffs? lucky charms?